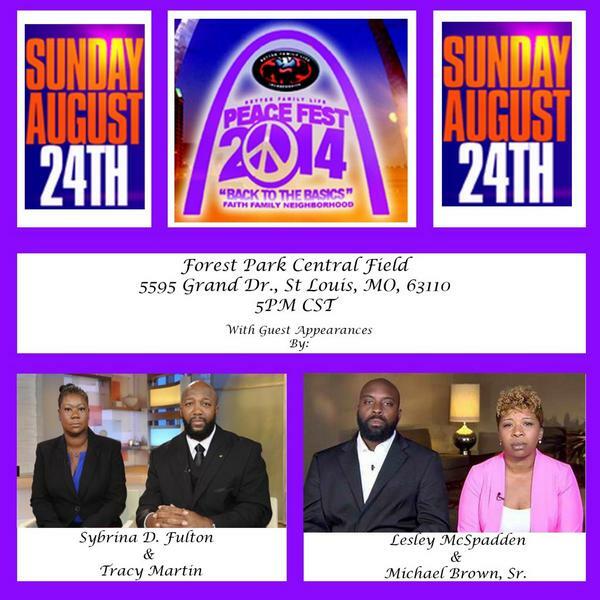 Trayvon Martin’s father and Michael Brown’s family will hold a “Peace Fest” today in Forest Park in St. Louis. The Peace Fest is scheduled from 8 AM until 8 PM. Today’s high is expected to reach 98° in St. Louis. As weeks of violent protests in Ferguson, Missouri, seem to be calming, the high-profile shootings of young black men will be remembered in a unique way: The families of Trayvon Martin, Oscar Grant and Michael Brown are planning to come together for a “Peace Fest” on Sunday evening in St. Louis. “First and foremost, we have lived through this. The community stood with us. And we want to be a part of the community here and offer our advice and love,” Cephus Johnson, Grant’s uncle, told the Los Angeles Times. Grant was 22 years old in 2009 when he was fatally shot by a white Bay Area Rapid Transit (BART) police officer in Oakland, California. Martin was 17 in 2012, when he was fatally shot by George Zimmerman, a Hispanic neighborhood watch member, in Sanford, Florida. And Brown, the most recently slain of the trio, was 18 years old when he was fatally shot by a white police officer at the beginning of August. 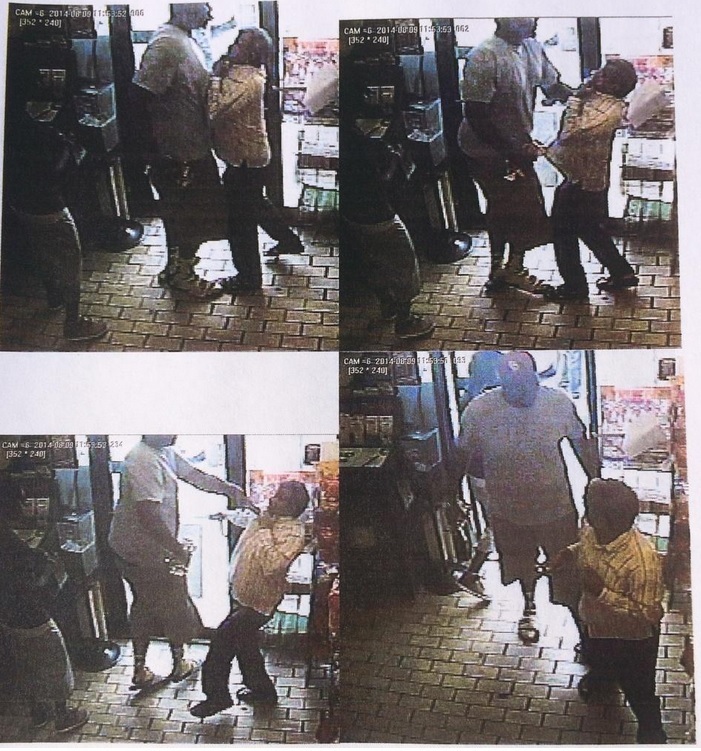 In all three cases, a significant amount of controversy surrounds the shootings. There is no word on whether or not the owner of Ferguson Market and Liquor was invited to the “peace fest” this afternoon.